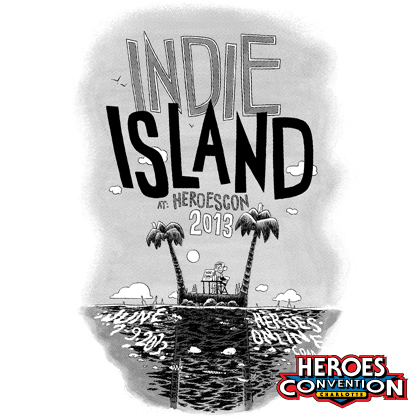 HEROESCON 2015 :: INDIE ISLAND UPDATE! 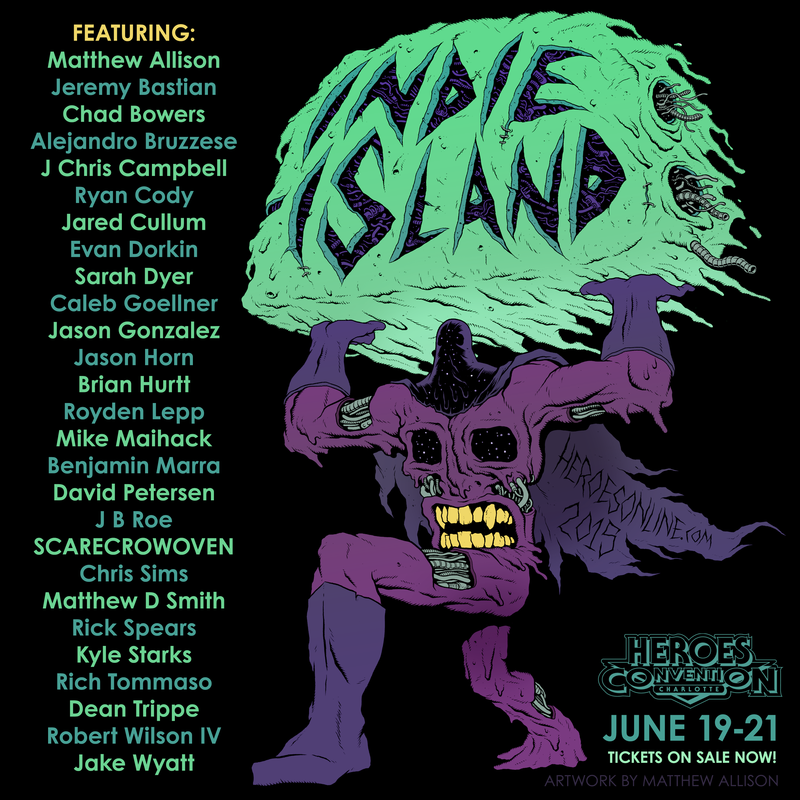 No foolin’, Indie Island at HeroesCon 2015 is the place to be! We just updated our guest list with some great creators! Get your tickets and reserve your hotel rooms today! 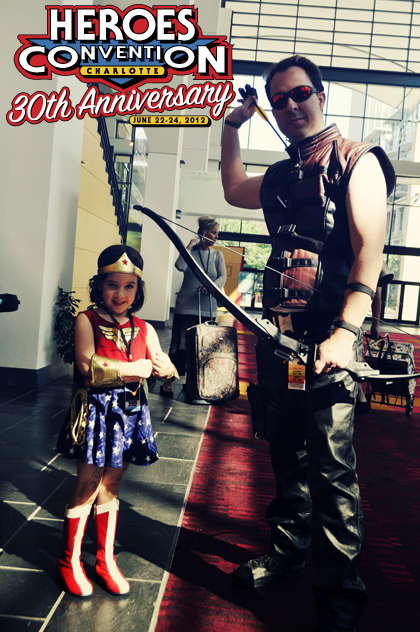 Reserve your stay at the Westin Charlotte at a HeroesCon rate! 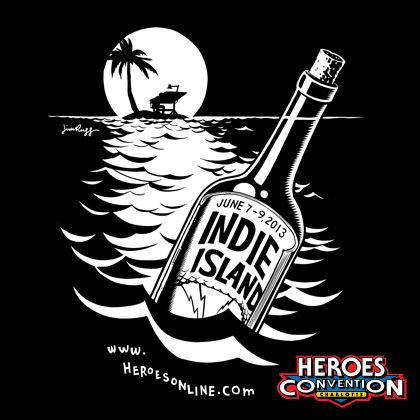 HEROESCON 2015 :: INDIE ISLAND AHOY! Our first Indie Island guest update has been posted! Of course you can expect many updates to this amazing list of guests as the show draws closer! Click here for our full guest list so far! Get your 3 day passes today! 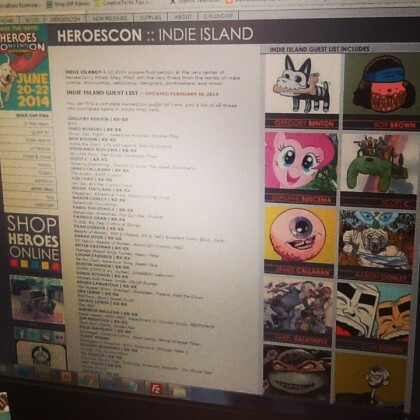 HEROESCON 2014 :: INDIE ISLAND UPDATE! JEFF SMITH! JIM MAHFOOD! ED PISKOR! TERRY MOORE! & MANY MORE! 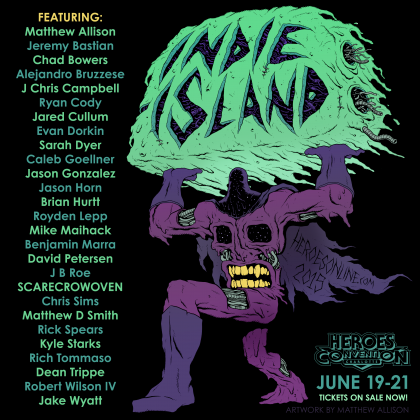 We just posted a MASSIVE Indie Island guest list update on our site! This update includes new creators who are knocking our socks off like Aaron Conley (Sabertooth Swordsman), James Callahan (The Auteur) to longtime heroes of the indie scene like Jeff Smith (Bone), Kevin Eastman (Teenage Mutant Ninja Turtles), and Terry Moore (Strangers in Paradise). 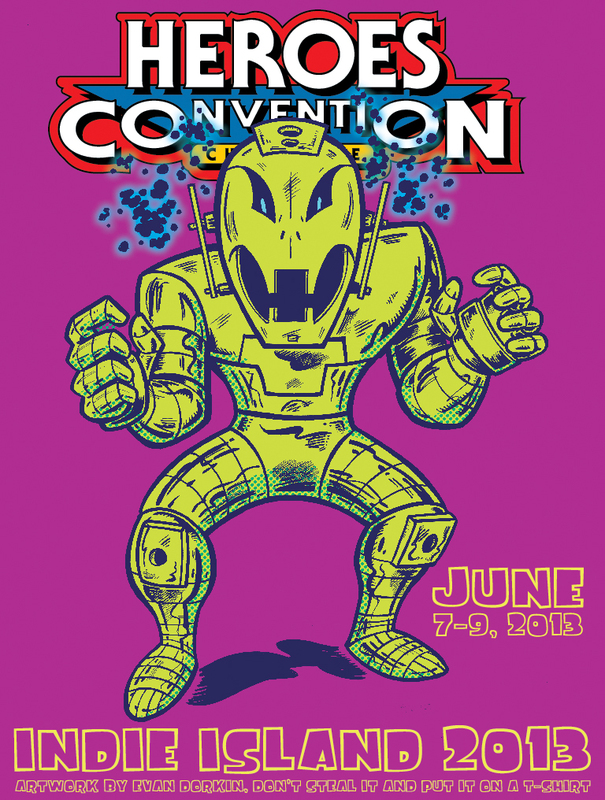 So go check it out and then get your HeroesCon 3 day passes so you don’t miss the fun! HEROESCON 2013 :: THE T-SHIRTS! This is how I imagine the conversation going when your friends see you in your SWEET HeroesCon 2013 t-shirts. This year we have 3 to choose from! 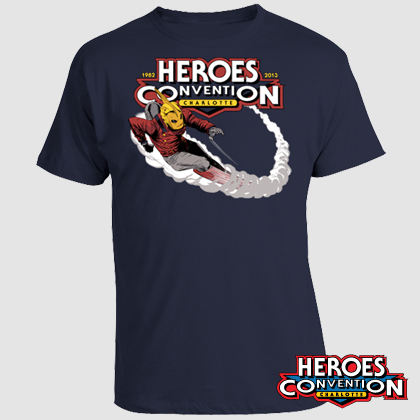 Lee Weeks provides the art for our HeroesCon souvenir t-shirt featuring Dave Stevens’ Rocketeer. Classic! 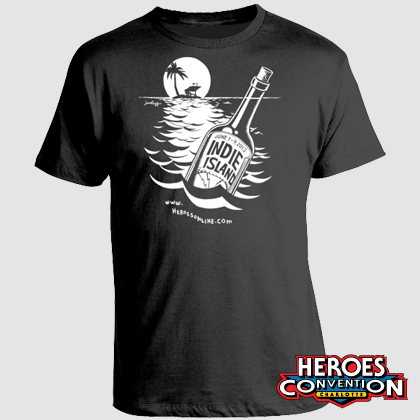 We’re trying something new with our Indie Island shirts this year. First off, we have 2 designs for you to choose from. Both are awesome! One is by Jim Rugg and the other by Dustin Harbin. What’s different is t-shirts will be printed live at the show! Our friends The Fine Print Shoppe will be set up at the back wall of Indie Island at AA-35 & 36, taking orders, and printing your shirt right there! Pick your design and then choose the color of your shirt! 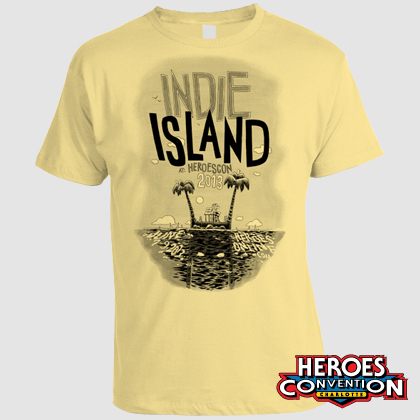 We’ll have lots of options and I can’t wait to see a rainbow of Indie Island shirts walking around the show! Just like in recent years, all of these t-shirts are available for just $20! Add these to your shopping list, and represent Heroes in style! 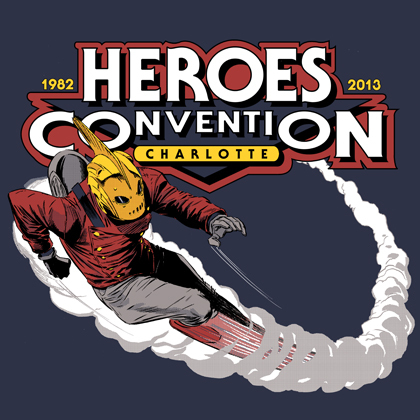 HEROESCON 2013 GUEST LIST UPDATE! HeroesCon is officially less than 2 weeks away and we’re still announcing great guests! Table assignments are now listed on our Guest List, Indie Island, Artists Alley, and Exhibitors pages and our Panel Schedule will be up shortly. See you soon! HEROESCON GUEST LIST UPDATE :: NEAL ADAMS! & MORE! We are happy to welcome Neal Adams back to HeroesCon this June 22-24! 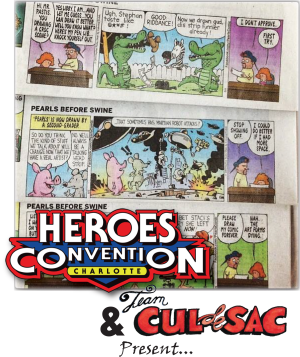 Thanks to everyone who attended last year and met Neal on his first visit to HeroesCon; you must have made a great impression! Neal is a legend in the comic book industry as much for his artwork as he is for crusading for the rights of fellow creators and striking out on his own when such a thing was unheard of. 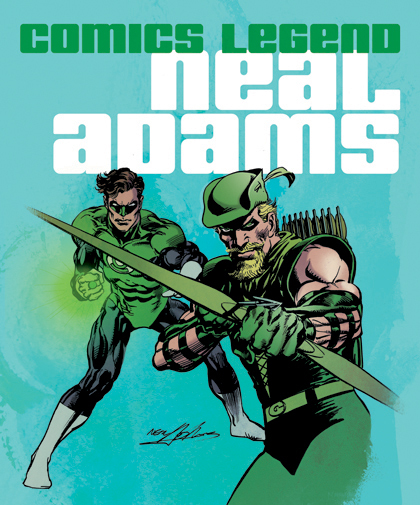 Neal’s career spans decades, from classic runs on characters like X-Men, Green Arrow, Green Lantern, and Batman to his current Batman: Odyssey. Be on the lookout for The First X-Men coming soon from Neal and writer (and fellow HeroesCon 2012 guest) Christos Gage! 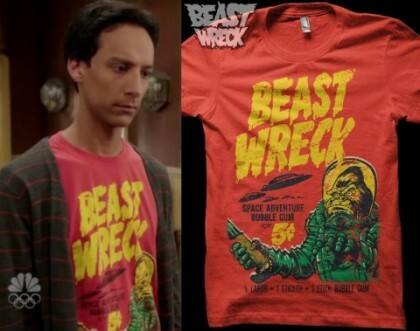 One of Jared Moraitis’ BeastWreck Shirts & Stuff was recently featured on an episode of NBC’s Community. Jared makes great shirts and if you buy two shirts at HeroesCon this year one of them should say BeastWreck on it! The other one will of course say HeroesCon or Indie Island. 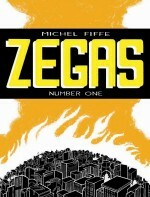 Michel Fiffe is the creator of the comic series, Zegas, which he began publishing in 2011 as Copra Press. 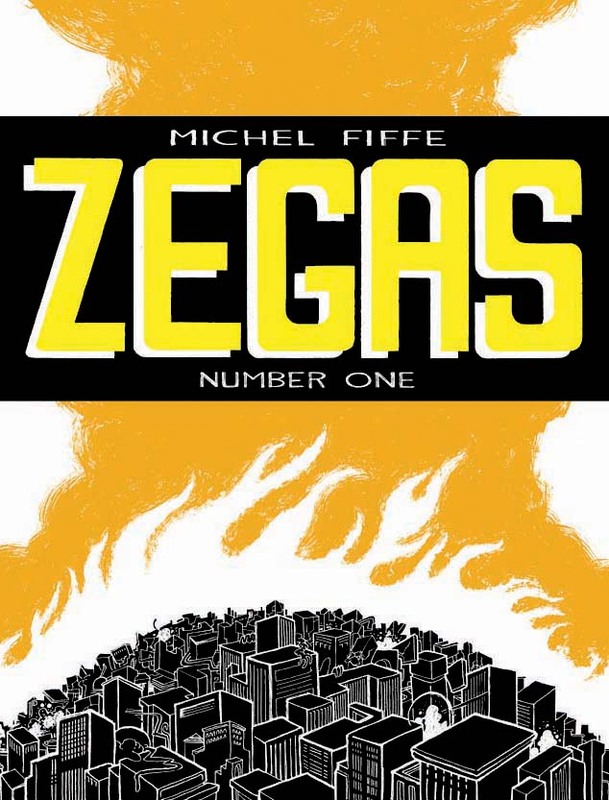 On top of writing and drawing Zegas, Fiffe has immersed himself in various comics projects such as editing the indie anthology Twisted Savage Dragon Funnies and conducting in-depth creator interviews for several institutions including The Comics Journal. 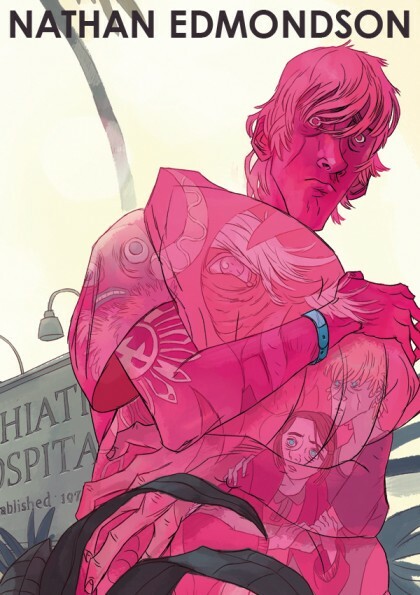 When he’s not working in animation, Dan Duncan is making comics. 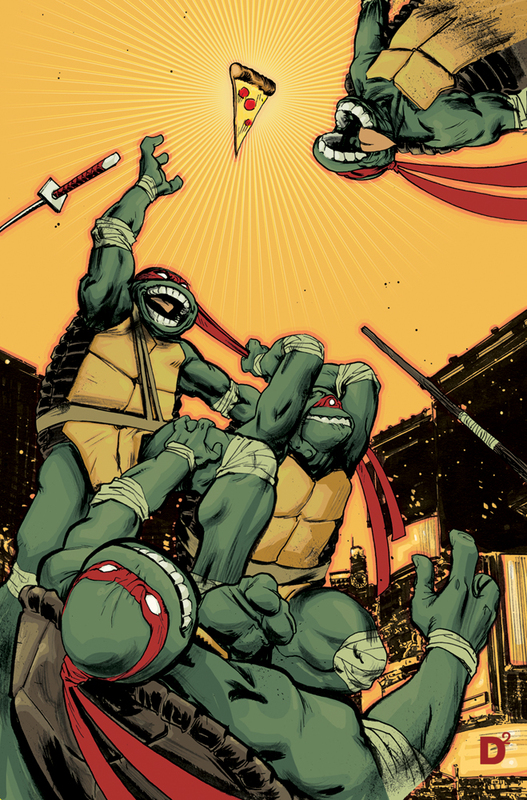 You’ve seen his art on the latest incarnation of the Teenage Mutant Ninja Turtles and on the beautifully painted covers of Xenoholics. Catch this guy before he and his crew are super famous and don’t have time for you. Ah, he’d make time anyway, Dan is a super nice guy. Artist Tom Lyle is also returning to HeroesCon next month. Tom’s illustrated numerous books like Spider-man, Robin, Punisher and Batman. He’s also an instructor at Savannah College of Art and Design (SCAD), who he’ll be setting up with again this year. 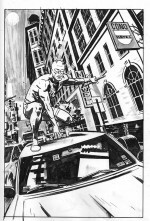 HEROESCON 2012 GUEST LIST UPDATE! PAUL AZACETA! IVAN BRANDON! BECKY CLOONAN! RAMÓN PÉREZ! DREW WEING! & MORE! Kalman Andrasofszky got his start doing illustration for roleplaying games. 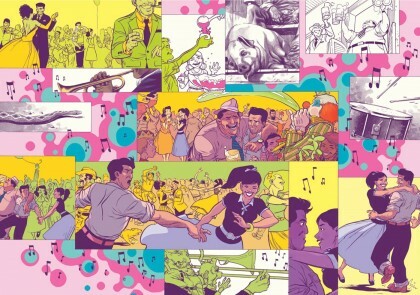 In 2003 Kalman co-created and illustrated the comic book series iCandy for DC. From there he has gone on to freelance extensively for Marvel, DC, Image Comics, Top Cow and BOOM! Studios. He’s produced art and covers for such titles as Spider-man, Action Comics, X-Men, Captain America, Dazzler, NYX, Tomb of Dracula, Checkmate, and GI Joe. 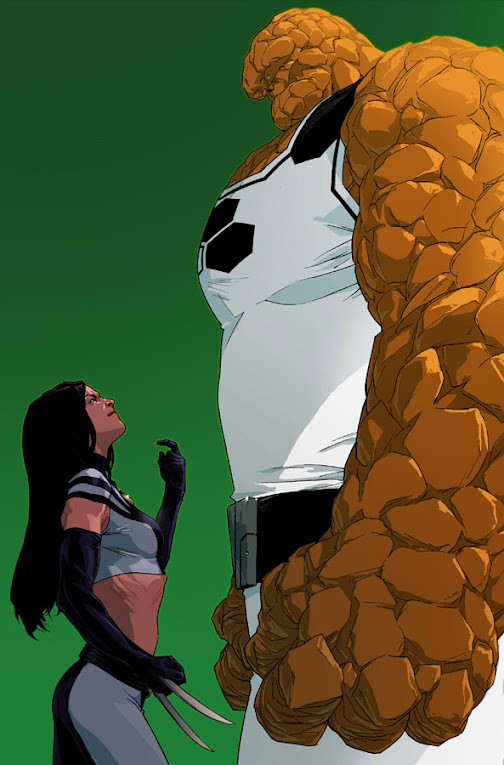 He just finished a great run as cover artist on X-23 for Marvel. 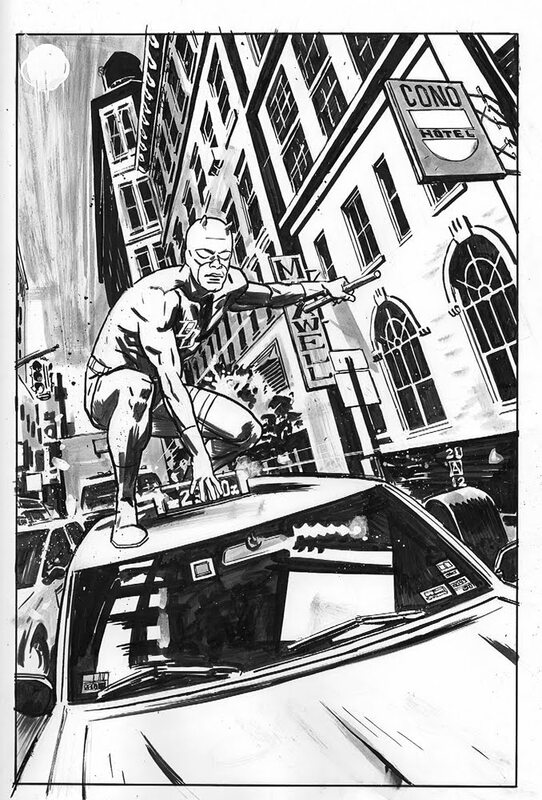 Paul Azaceta has lent his gorgeous artwork to titles such as Amazing Spider-man, B.P.R.D. : 1946, and Daredevil. 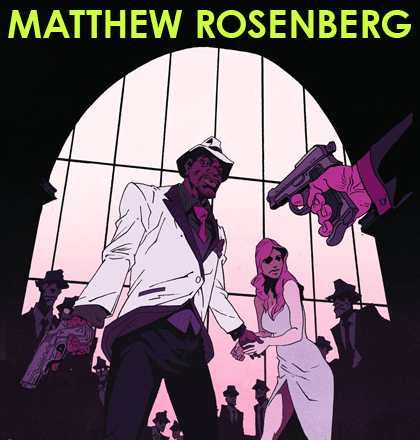 He’s currently illustrating the genre-bending Graveyard of Empires with his Grounded collaborator, Mark Sable. Pick up that Grounded trade paperback if you see it, it’s good comics! We’d like to welcome back our pal Ivan Brandon to HeroesCon, it’s been a while since he’s been able to attend the show and we’re happy to have him back! Ivan is a writer with a resume to be reckoned with! You know him from his work on NYC Mech, his 24Seven anthologies, Viking, and his recently completed run on Men of War. 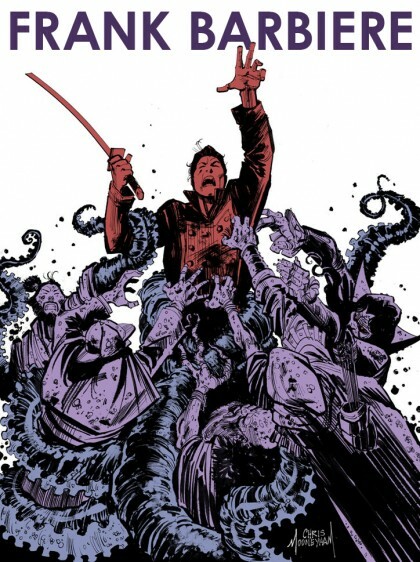 Look for his work on Wolverine #309 in July featuring art by our friend and HeroesCon guest Jason Latour! Becky Cloonan had such a great time at her 1st HeroesCon last year (thanks to all you great fans!) that she had to come back! It’s pretty amazing how many comics she’s made since last year! Becky is currently working on Conan the Barbarian with Brian Wood, and just finished up some great B.P.R.D. covers. Hopefully she’ll have copies of her new comic The Mire (a follow-up to last year’s Wolves) at the show, get to her table early! Patrick Dean and Robert Newsome are the organizers of Fluke, a mini-comic and zine show down in Athens Georgia. They’ll be here promoting that awesome show and selling their own minis and zines, so make sure you pay them a visit in Indie Island. 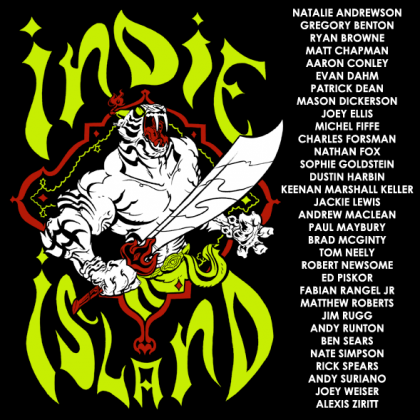 Josh Latta and Brad McGinty will also be hanging out in Indie Island. These are two of the funniest and most creative guys you will meet at our show. Make sure you stop by their tables and check out their great variety of hilarious and beautifully illustrated mini-comics. Non-Comics Bonus- Behold the genius of Brad McGinty! Did you happen to see the most beautiful book of 2011, Jim Henson’s Tale of Sand? 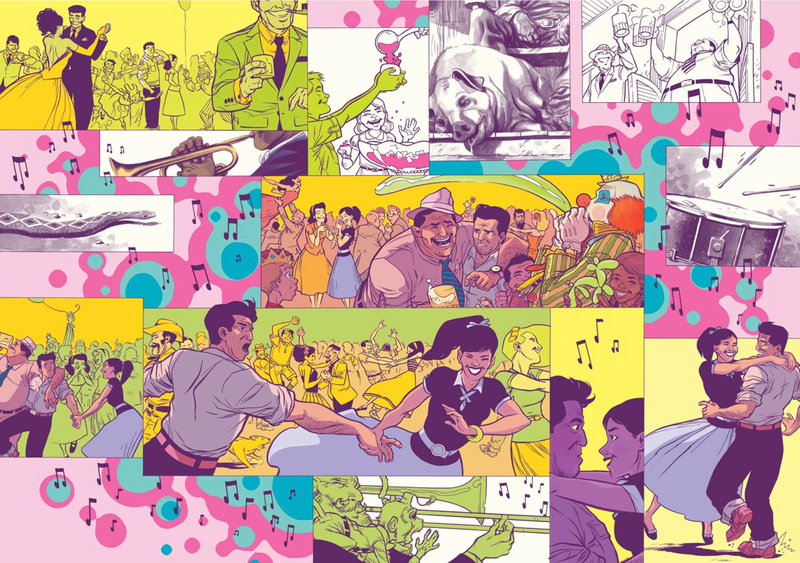 Well the guy who adapted Tale of Sand into a lush treat for the eyes is Ramón Pérez and we’re happy to say he is coming to Charlotte for his first HeroesCon! Ramón is no rookie though, he’s been making great comic for years. Check out his webcomics, Kukuburi and ButternutSquash. Drew Weing’s Set to Sea continues to attract new readers. He is also known for his mini-comics and webcomics including Blar, Pup and The Journal Comic. He is an incredibly talented creator and we are thrilled to have him back in Indie Island for another year!